Alice in Wonderland has finally arrived and we’ve a got load-full of things to talk about. 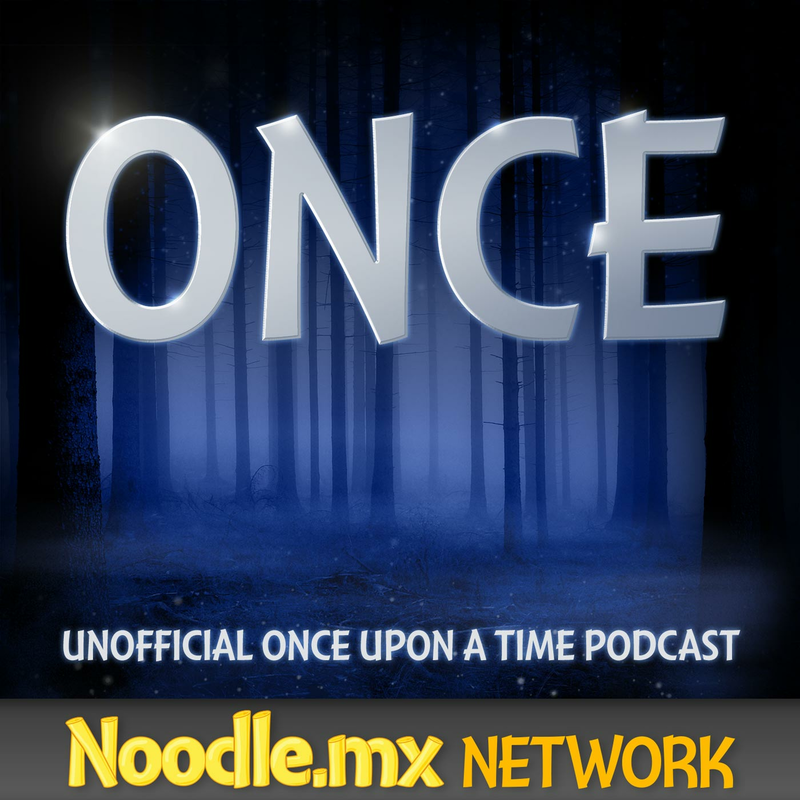 Check out what we’ve discussed about the Once Upon a Time in Wonderland pilot episode entitled, Down the Rabbit Hole as you listen to the podcast. While it’s apparent that Once Upon a Time in Wonderland is going on a different direction with its story, the story has been quite true to what happened in the books as far as the looks and the things that happened that Alice said in Wonderland. 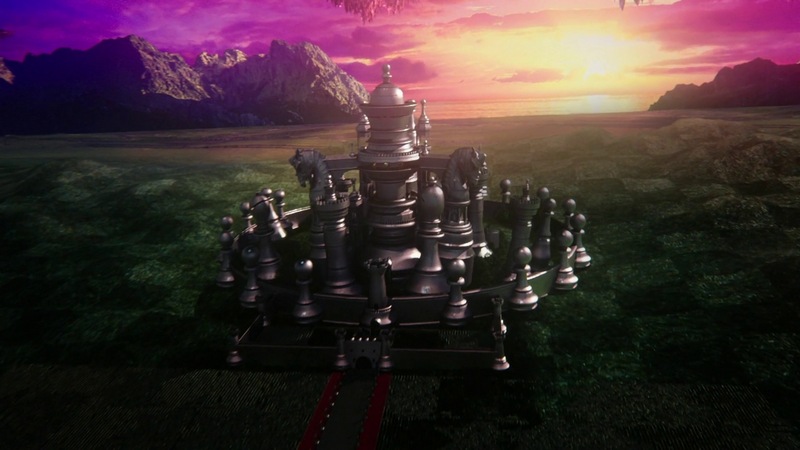 They also tied-in Once Upon a Time in Wonderland with the original story in Through The Looking Glass by having The Red Queen’s castle made out of chess pieces. As the show opens, however, the community has been very observant about young Alice’s tea set that looks like it has been grown over as if it had been left for a while. 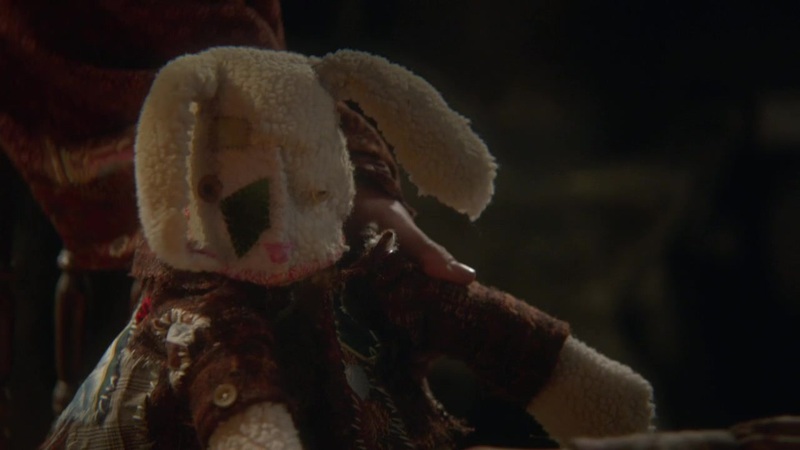 Along with the set lays a few stuffed animals, one of which looks a lot like the stuffed rabbit that Jefferson made for his daughter, Grace. After little Alice’s first adventure in Wonderland, Alice came running back to her father from the rabbit hole, who thought she was dead because he said that she was gone for a long time. While she was happy to be home and ready to tell her father of the fun-but-terrifying adventures she had in Wonderland, little Alice felt a bit disheartened when she found out that her father thought she made it all up, making Alice want to go back to Wonderland to search for proof. It was nice to meet The Knave of Hearts in Storybrooke, Maine. In the episode, the Storybrooke library is still closed but the sign says “opening soon.” On the other hand, Emma’s yellow bug was seen even though it wasn’t clear who was driving it. Adam Horowitz once said that the story happened pretty much around the time as when Once Upon a Time is going on, after the curse was broken. Two characters from Once Upon a Time were also seen in the pilot episode – Ashley and Leroy. In the episode, Ashley was no longer pregnant but was seen with a baby-sized sneaker keychain, indicating of her newborn baby. Leroy, on the other hand, regarded to The Knave of Hearts as “Brother.” After their short run-in with The Knave of Hearts, it’s interesting how (and if) they are going to cross the scene with Once Upon a Time, since Granny’s diner had been trashed after The White Rabbit’s hole has been opened. We never saw a hole in Granny’s Diner, so is it going to even be explained in Once Upon a Time? It was also interesting what The White Rabbit said to The Knave of Hearts in Granny’s Diner before they went to the asylum and help Alice. Is he part of The Red Queen’s plan? What does The White Rabbit mean when he said “She needs you”? Set in London, England, Alice was kept in the Bethlem Asylum for a year. In a scene, the asylum’s gate was seen with Roman numerals MDCCCLXVII (meaning 1867). Edward Kitsis and Adam Horowitz said that the story takes place in fictional (Victorian) England but if that’s the case, how does it tie in with present day Storybrooke? Kitsis and Horowitz also mentioned that this is not the same England as Baelfire went into in Second Star to the Right, but why the need to address this fact? While the curse is still in place, it was said that Alice has been traveling between worlds with the help of Cyrus. But if the only way one can travel is with magic, could magic work that easily and so predictably outside Storybrooke? If Alice’s father said that she was gone for a long time, has she aged at all while she’s been in Wonderland? Why does Will have to remind Alice that she knows and remember him, to which Alice replied, “I don’t want to remember, I want to forget.” Why would The Knave of Hearts think that Alice would not remember him? Was Alice also affected by the curse? Aside from traveling between worlds, it was also mentioned that she was fighting with pirates and swimming with the mermaids. 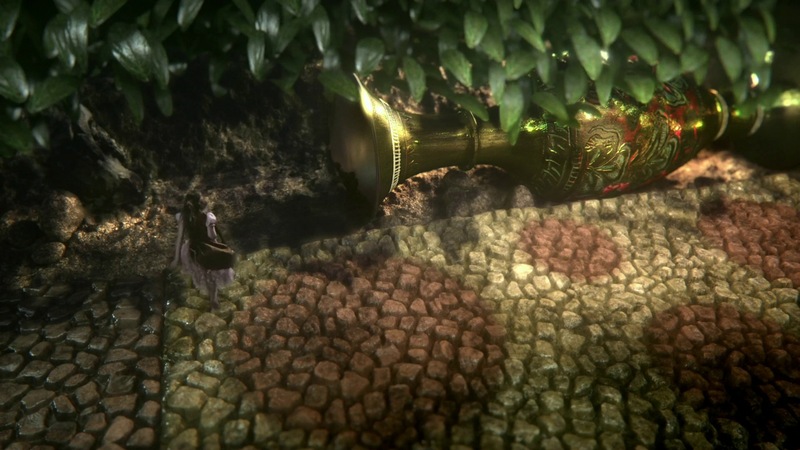 Has Alice been to Neverland and has crossed paths with Hook and Ariel, as well? When Alice escaped The Asylum with Will, how did Alice learn how to fight and kick butts? And before Will and Alice went outside, the doctor saw The White Rabbit. Are we going to see more of him and his reaction to the rabbit? Cyrus’s bottle is in quite a decorative bottle, making it not quite like the typical genie lamp. 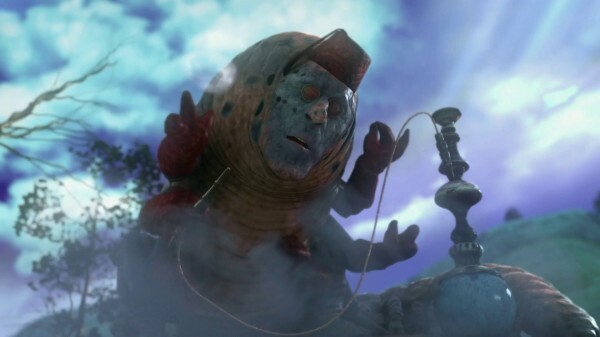 But how did the genie’s bottle ended up in Wonderland? At the end of Disney’s Aladdin, Genie threw (Jafar’s) lamp to the world. Is it possible that the lamp ended up in Wonderland and Jafar was somehow looking for it? Could this be why Jafar wanted the genie, that he wanted the bottle back? Cyrus said that he was tethered to the bottle for 100 years, slave to faulty dreams of man, and is always wishing for freedom.At the same time, Alice was shown with three wishes, so how did Alice set Cyrus free? The Red Queen asked to “borrow” Cyrus then pushed him off the edge after a while. What’s up with that? Cyrus’s necklace started glowing when Alice said yes to his proposal. Is that Cyrus’s second wish? For Alice to say yes to his proposal? On the other hand, The Knave of Hearts agreed to help Alice in return of one wish. However, in Once Upon a Time’s “The Fruit of the Poisonous Tree” episode, the wishes were green when available, then turns red when used. They may have not have the similar rules but is that an indication that Alice’s wish have already been used? While The Knave of Hearts mentioned, “One has to be careful what they wish for, make it consequence-proof”, how does this tie in with a genie’s limitation to wishes and its magic? Both Will and Alice left Wonderland in bad terms. What did Will do aside from the fact that he was the thieving type? Alice mentioned that she helped him get his heart back, could The Queen of Hearts/Cora have something to do with The Knave of Hearts’s heart? 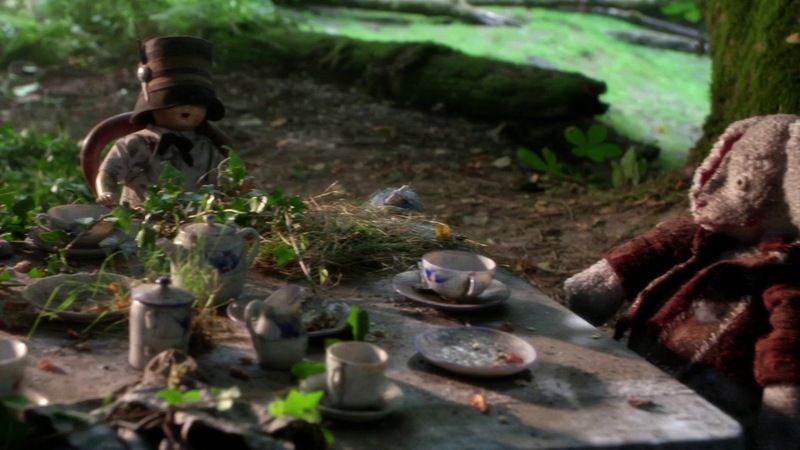 The White Rabbit said that Cyrus is in The Mad Hatter’s home in Tugley Woods but Will said that The Mad Hatter has not been seen in Wonderland for quite some time. Cyrus’s necklace glowed when Alice found it in The Mad Hatter’s heart. Could Cyrus be closer than they thought he was? Cyrus did mention that it will glow when they are close to each other. Is The White Rabbit’s allegiance to The Red Queen based on fear? Why did The White Rabbit agreed to work with The Red Queen? Is it for his own life or could there be a family member of his that needs rescuing? He did say, “Oh no” when he met The Red Queen along the road, after all. And while inside The Red Queen’s castle, The Red Queen said that they need to settle up, but not until “the game is complete.” Who could The Red Queen’s opponent be? Is it Alice or more like Jafar? We were talking in chat and I was trying to recall the stories of Alice in Wonderland and the sequel Through the Looking Glass. Disney has really mixed up the two stories and most people don’t know the true versions unless you’ve read the books. Essentially, Alice in Wonderland is all about a game of cards and Through the Looking Glass is a large game of chess. Surprisingly, the only characters that are in both stories is Alice and a vague and usually missed reference to the Hatter and the Hare. Otherwise, it’s a completely different story. Now that I know how to play chess Through the Looking Glass makes much more sense. Alice goes through the mirror and ends up meeting the Red Queen, who starts her out on a journey to become a Queen, herself. Anyone who plays chess knows that if your pawn reaches the last row it becomes a Queen. So Alice, the pawn, goes off on her journey and “plays” the game. In the end, she reaches the end of the field with the sleeping Red King, knocks over the Red Queen and wins the game. Then she wakes up. The point of that little retelling is do you thing Wonderland will take a bit of this story and incorporate it into the tale. Maybe the Red Queen sets Alice off on this wild journey across lands (i.e. the chessboard) in order to get Cyrus back. She has to “play the game” in order to be reunited with her lover. Is it possible that The Red Queen was talking more about strategy when she told The White Rabbit that they are still setting up the game? Jafar = The Red King. I don’t know if this implies romance between RQ and Jafar but it does imply that he he is out to stop Cyrus and Alice from taking him, because in chess you win once you’ve checkmated the opposite side. The White Rabbit = The Knight. Now, the reason I’m putting knight for WR are this: one, animal motif. Two, have you ever seen a rabbit move? It’s somewhat erratic. The knight (horse) moves really oddly on the board, it can only move two up and one over or some combo there of. The WR is also the one who opens portals (moves strangly). Maybe a stretch but I’m going to go with it for now. Jafar mentioned that they need the bottle and Alice to make her use her wishes. What will they make Alice use her wishes on? The Red Queen told Jafar that she’s the only one who knows exactly where Alice is so their deal still stands. What is The Red Queen and Jafar’s deal? 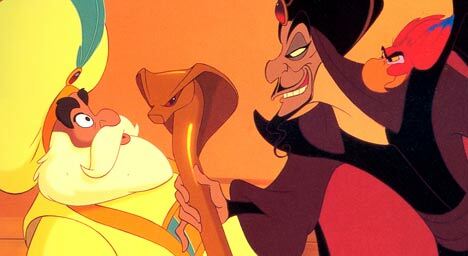 On the other hand, kfchimera pointed out that Jafar’s snake staff looks similar to Disney’s Aladdin. Okay i have a weird theory but here it goes. What if Jafar’s Snake Staff is the source of his magic and without it he can’t do magic. Also whoever posses the Snake Staff gets to use magic. Basically the Snake Staff is like magic wands for evil people. The eyes of the staff glowed like the wish rubies or whatever they are. He probably needs the the rubies to sustain his magic. And like Alice said, u can’t steal wishes. He needs to get them willingly. In the sequel to Aladdin, Jafar wished to become an all-powerful genie. I think it’s possible that though he is a sorcerer now, his powers have their limits. Hence, why Jafar wants the wishes that Cyrus granted Alice. Maybe he’ll make a deal with Alice: she gives him her wishes in exchange for Cyrus. He doesn’t currently know where Alice is and couldn’t get to her, which is why the Red Queen said Jafar needed her alive. The sign said: Wanted with or without his head, Knave of Hearts, contact the caterpillar immediately if you have any information concerning his whereabouts. Failing to report will result in imprisonment. What did The Knave of Hearts do to the caterpillar? Is the caterpillar working for The Red Queen as well?